Katya Pollard thought she came to New York City for all the right reasons: the vibrant art scene, the like-minded collaborators, the rich urban history. But only two years later, the 24-year-old painter was nearly broke, completely burnt out, and ready for a change. That’s when she heard about Blue Bluffs, the nine-hole golf course in central Missouri where droves of millennials like her have been flocking. Today, Katya enthusiastically calls it home. Katya is just one of hundreds of millennial artists, musicians, and artisans who have flocked to the course. They’re fleeing from cities like Brooklyn, L.A., San Francisco, and Portland, fed up with rising rents and gentrification buffing out the cultural niches that attracted them there in the first place. But what they’ve found on the fairways and putting greens is more than just extra elbow room—it’s a community. From browsing the pop-up handcraft bazaars near every sand trap, to biking the acres of rolling terrain, to founding artists’ collectives and deliberate-living co-ops, twentysomethings are quickly making Blue Bluffs their own. 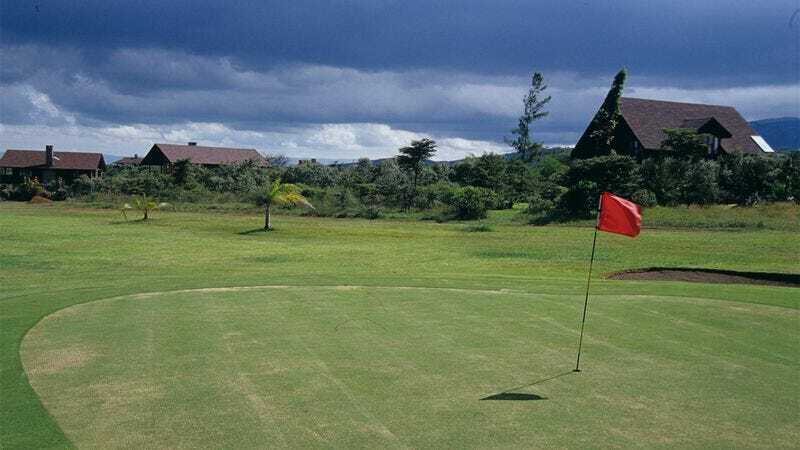 While some still lament the lack of public transportation and the limited nightlife options, many are discovering that the laid-back, simplified lifestyle of a golf course is exactly what they were looking for! Of course, not every neighbor is thrilled with the influx of young people. Local businesspeople, like hardware store owner Roy Gregory, say they appreciate the extra patronage but feel overwhelmed by the mass migration. Still, every new community has its growing pains, and Blue Bluffs’ growth shows no signs of slowing, thanks in part to vocal evangelizing by its new residents. In a few years, we may be hearing the name Blue Bluffs in the same breath as Austin or Oakland. Until then, though, it will just be a little slice of millennial heaven.